Canal Tour is something that you should check out if you like to be on the water and see plenty of Copenhagen’s attractions in a short time. It is the best during the summer, but the tours are being organised all year round so if you are not afraid of cold wind or some rain, prepare yourself with clothes adequate to the weather and you will still enjoy it. 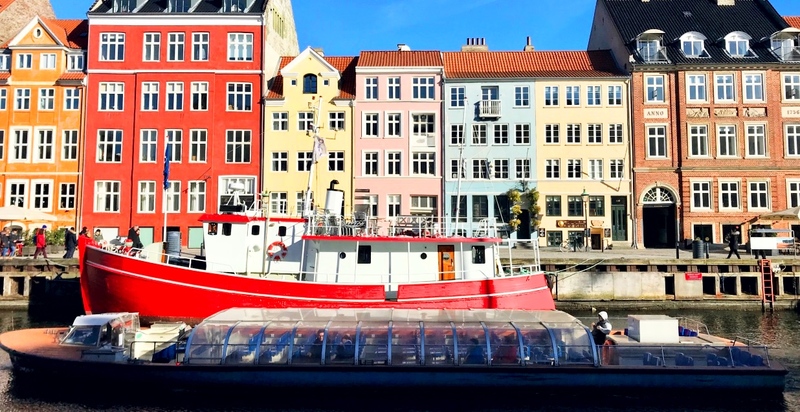 You can find starting point for Netto Boats in Nyhavn or by the Holmens Church. Jump on one of the blue boats and enjoy the best of Copenhagen from the water! The canal tour is guided in Danish, English and German. This trip with Netto Boats takes around 1 hour and on the way you will see some of the most famous Copenhagen's attractions like the Little Mermaid, Nyhavn, Amalienborg Palace, Christianshavn and more. If you get on one that is not so crowded, ask the guides questions, they know it all about Copenhagen and will be happy to share their knowledge with you.